AngularJS is a structural framework for dynamic web apps. It lets you use HTML as your template language and lets you extend HTML's syntax. Project management is the discipline of initiating, planning, executing, controlling, and closing the work of a team to achieve specific goals. ASP.NET is an open source server-side Web application framework designed for Web development to produce dynamic Web pages. Microsoft Azure is a growing collection of integrated cloud services—analytics, computing, database, mobile, networking, storage, and web. 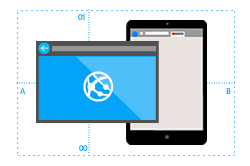 ASP.NET Web API is a framework that makes it easy to build HTTP services that reach a broad range of clients, including browsers and mobile devices. Get exclusive news and deals straight to your inbox! Evolve Software Ltd © 2016. Registered No 08217065.